A Facelift, or Face Lift, is the well-known operation to restore the youthful appearance of the face and neck. This operation has undergone many changes over the years and the focus has been on achieving a natural result without the stigmata previously associated with this operation and which are commonly noted in many celebrities. Dr. Green keeps up-to-date with current trends and has invented several procedures, some of which have been published in professional journals. 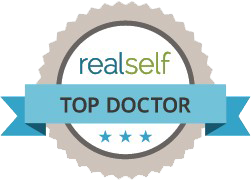 Today plastic surgeon Dr. Rodney Green does facelift surgery for clients from many different backgrounds. It has become acceptable to the general public in both men and women to have surgery to restore a youthful appearance both for the self-confidence that this provides, and for the relief of the discomfort of looking in the mirror every day, as well as to make oneself more marketable in a competitive business world, or to make oneself more attractive socially. The basic surgical procedure involves tightening of the deeper layers of the face (SMAS) to provide a long-standing support for the facial rejuvenation. The superficial skin is then draped without excessive tension over the new support. Excess skin is then trimmed and the incision is carefully closed in layers. Very often the laxity of the neck and the loss of the angle of the jaw is addressed at the same time as the facelift. (Submental lipectomy) A small incision under the chin in an inconspicuous location is used to remove excess fat and to tighten the muscles of the neck, and to reposition drooping salivary glands. There have been many refinements that Dr. Green has incorporated into his practice such as improvements in techniques to minimize the scarring associated with the operation, to techniques to achieve longer-lasting and natural restoration of the youthful appearance of the face and neck, and the associated use of resurfacing CO2 laser together with the facelift procedure to improve the quality of the skin itself. Due to the many details involved in this procedure we recommend an initial consultation with Dr. Green who will meet with you and assess your face. Many other details that can be discussed at the time of your consultation are applied in this procedure. This operation is very popular and has also been modified and improved over the years to achieve a natural long-lasting improvement of the areas around the eyes. The eyes are often the focus of people that we interact with and sometimes give the impression of fatigue or sadness which is not really justified, as a result of changes that have occurred due to aging. Restoration of these changes can correct the misimpression that one gives. Often there is excessive skin and fat involving the upper and lower eyelids. There may be drooping of the eyelids and laxity of the lower eyelid which develops with aging. In addition there is a tendency for the lower eyelid to become distinct from the cheek. In the youth there is generally a blending of the lower eyelid and cheek. These changes can be corrected surgically. Each of these aspects are usually addressed together in a combined procedure to correct the changes that have occurred in the individual according to their needs. To complete the rejuvenation of the face often it is necessary to elevate the brow especially laterally where there is a tendency for the brow to drift down with the effects of gravity and the contraction of the muscles around the eyes. This causes a hooding effect of the upper eyelids laterally which can only be corrected by elevating the brow. In addition, a brow lift affords the opportunity to weaken the muscles that cause frowning, similar to what is done with Botox injections, but with a more permanent result. Sometimes there is the beneficial side effect of a relief from migraine headaches. Dr. Green uses an endoscopic technique that minimizes the scarring to achieve brow lifting. Dr. Green avoids excessive elevation of the brow to ensure a natural appearance after the surgery. CO2 laser resurfacing has become the “gold standard” for laser skin rejuvenation. There are many new laser techniques that claim to have more rapid recovery, but in general they also seem to have less efficacy than the standard CO2 laser resurfacing. The equipment has become more advanced with computer-controlled patterns which cause less skin irritation and provide more rapid treatment. In general the principle is that the aged and damaged skin surface is removed in a very controlled and precise way with minimal trauma to the underlying tissues. The laser effects on the underlying dermis is that there is slight tightening and improvement in the thickness and support of the skin. After treatment a mask like dressing is applied which protects the skin during the initial healing phase. There may be redness of the skin that lasts several months, but this can be easily covered with makeup. Dr. Green will discuss the risks and benefits of the procedure if this would be of benefit to you. The use of facial fat grafting has become increasingly popular as plastic surgeons have learned to improve the survival of fat grafts long-term. A graft that “takes” will last essentially forever. Dr. Green is able to use fat that is harvested either from the face itself where there is an excess, or from a remote location such as the abdomen, to graft areas of deficiency, either as an isolated procedure or as part of the other rejuvenation techniques. A common area where this procedure is used is for augmentation of the lips. Fat is also used to add to the volume of the cheeks and may also be used to fill deficiencies of the eyelids. The chin can be augmented with fat graft as can the jaw line. Dr. Green uses the latest techniques and specialized cannullae, to harvest and inject the fat where necessary. Dr. Green will meet with you at the initial consultation and assess your face, giving you an objective assessment based on his years of experience. He will give you his recommendations as well as alternative approaches without any pressure. The risks and benefits of the procedure will be explained in detail. Very often clients are surprised to find that their preconceived ideas become changed after the consultation with the insights that Dr. Green provides. Your questions will be answered in a leisurely fashion without rushing you. Dr. Green’s patient coordinator, Kim will also meet with you to explain the financial aspects of the surgery. She can also give insights into the perioperative experience from her years of working closely with patients who have had similar procedures done. We will try to accommodate your needs in scheduling the procedure. The earlier that the procedure as scheduled the more likely it is that you will be able to choose the timing. Dr. Green operates at hospitals and surgery centers which provide the highest standards of care, with board-certified anesthesiologists, surgical assistants, and nurses, so as to ensure the best possible results. Are Botox and Injectable Fillers All They’re Hyped To Be? Could You Benefit from a Neck Lift? CONSIDERING PLASTIC SURGERY? Or Have any Questions or Comments - Contact Dr. Green.